Today it’s easy to forget how little attention the European and American classical-music establishments paid to baroque (let alone Renaissance and medieval) music in the early part of the 20th century. 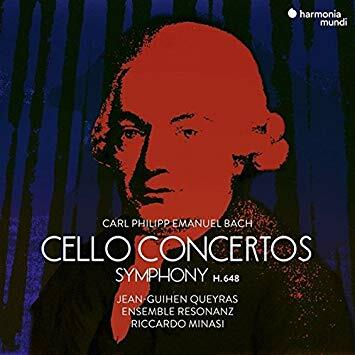 It wasn’t until the 1950s that composers of the baroque period began to be represented again on concert programs and LP recordings with any regularity–and the fact that they were is due, in significant part, to the work of a small French label called Harmonia Mundi. That label’s recordings of Alfred Deller reintroduced listeners–who were initially puzzled but eventually delighted–to the countertenor voice, and to the world of 17th-century song (notably the solo vocal music of Purcell) and opera. Then the floodgates opened: landmark recordings by Concerto Vocale, Les Arts Florissants, and the Clemencic Consort came in quick succession, as did period-instrument recordings of orchestral works by neglected composers like Michel-Richard de Lalande and Jacques Philidor. 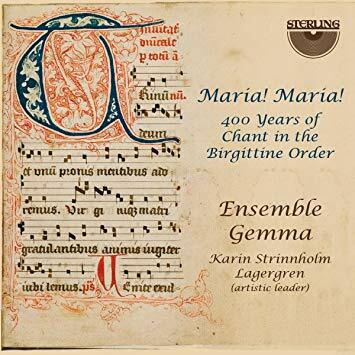 Harmonia Mundi would also eventually release pioneering period-instrument recordings of 19th-century works by Brahms and Fauré, eventually broadening its scope to include the whole panoply of European art music both ancient and modern. These two box sets celebrate the label’s rich history and offer a super-budget-priced overview of its work. Most of the featured works are presented in their entirety, which is always a big plus with survey recordings like this. 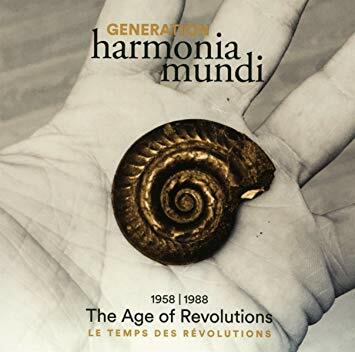 From the very beginning Harmonia Mundi has been known for the sound quality of its releases, and for the magnificent talent it has been able to attract. Any library would benefit from owning these two boxes, but they will be particularly attractive to small collections with limited budgets for classical music. 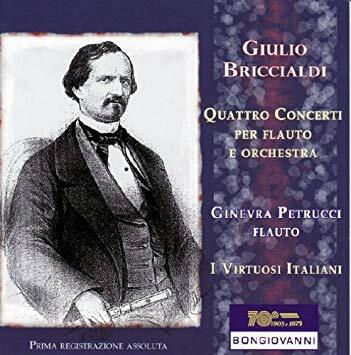 Though hardly known today, during his lifetime (1818-1881) Giulio Briccialdi was hailed as the “Paganini of the Flute” and served as a flute teacher to the Italian royal family. He also contributed directly to a number of important innovations in the mechanical design of the flute, some of which remain integral to the modern instrument. This disc is a remastered version of a recording originally made in 2008 (but never previously released, as far as I can determine); it represents the world-premiere recording of the only full concertos he ever wrote for flute and orchestra. The brilliant flutist Ginevra Petrucci is somewhat ill-served here by mic placement: it sounds as if she were recorded by a microphone at the back of a large and empty hall. But her playing (and that of I Virtuosi Italiani, on modern instruments) is lovely, and the music itself is both a revelation and a delight. For academic reasons alone, this album is a must-have for library collections. Here we have two modern-instrument accounts of orchestral music by C.P.E. Bach, the most celebrated of J.S. Bach’s many impressive musical offspring. The Harmonia Mundi album presents itself somewhat defensively, with text on the back cover asking “Why should music ‘before Mozart’ now be the sole preserve of period-instrument orchestras?”. (Why indeed? I’m not sure anyone believes it should be, but never mind.) But it does make the case for modern-instrument interpretations of this 18th-century music quite convincingly, with cellist Jean-Guihen Queyras a wonderfully dynamic presence and Ensemble Resonanz conveying the complexity and richness of the composer’s music with a perfect blend of warmth and sparkle. For those who do prefer period-instrument performance, the fifth volume in the Berliner Barock Solisten’s series of C.P.E. Bach’s piano concertos presents something of a compromise. Playing what they call “old but modernized instruments” (their accommodations for period practice mostly coming in the form of varying bows, depending on the repertoire), they are a smallish and self-conducted group who play standing up rather than seated. 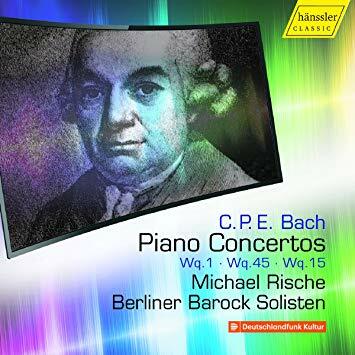 Michael Rische seems to be playing a modern piano on this outstanding recording. On this one the recorded sound is especially worth noting: it’s intimate and colorful, and the piano sounds particularly fine. Both discs are strongly recommended to classical collections. And speaking of modern instruments! For this project, three artists (saxophonist/singer Etienne Jaumet, synthesist Peter Kember [a.k.a. Sonic Boom], and singer/tanpura player Celinn Wadier) collaborated to craft a tribute to composer La Monte Young. Young was one of the first American composers to create music deeply informed by the various classical traditions of classical Indian music, notably the prominence of drones and the use of microtonic melodies and ornaments. By so doing he inspired a generation of modernist composers and pop musicians, and here a group of them return the favor by creating a sort of three-movement suite of droning, throbbing, shifting musical gestures built on a combination of acoustic instruments, analog synthesizers, and digital sound manipulation. If you want harmonic variety and meaningful chord progression, look elsewhere–but if you want an immersive sound experience that requires little of you beyond letting go of your conscious mind, this is definitely worth checking out. 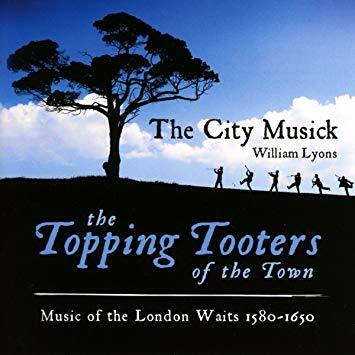 At the turn of the 17th century in England, it was common for the larger cities to employ “waits”–municipal musicians–to provide musical accompaniment at civic occasions and celebrations; they were also frequently employed in the local theater, at dances, for private parties, and so forth. Unsurprisingly, the best of these groups was the one employed by the City of London, and top composers of the period wrote music specifically for them. This delightful collection brings together pavans, galliards, and even psalm settings (for vocalists as well as instrumental musicians) by the likes of Anthony Holborne, John Dowland, Thomas Morley, and John Playford. The instruments are all brass and winds: sackbut, cornett, shawm, dulcian, etc., but the vocal pieces are among the most lovely and moving on the program. A must for all classical collections. One of the most iconic forms of composition from the classical era is the theme with variations. Sometimes written formally and sometimes improvised in a live setting, this musical form involves taking a musical phrase–usually a relatively simple one–and creating a series of new musical ideas based upon it, often making them progressively more and more elaborate and complex. Three masters of the art are represented on this disc: first we have Mozart’s variations on “Unser dummer Pobel meint,” then Haydn’s variations on an original theme and Beethoven’s “Eroica” variations. 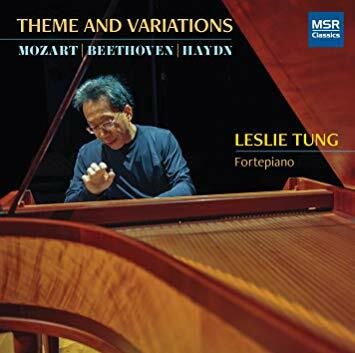 All are performed on the fortepiano–a precursor of the modern pianoforte that was used commonly during the lifetime of these three composers–by the magnificant keyboardist Leslie Tung. The fortepiano’s relatively constricted tonal and dynamic range helps to keep the focus on the musical ideas themselves and Tung shows them off with an admirable sense of idiom and sensitivity. Highly recommended. The manuscript known as Codex Las Huelgas, which contains 186 sacred and liturgical songs in a variety of styles for various combinations of voices, dates from the 1340s, though its content was already at least 100 years old when the extant copy was made. 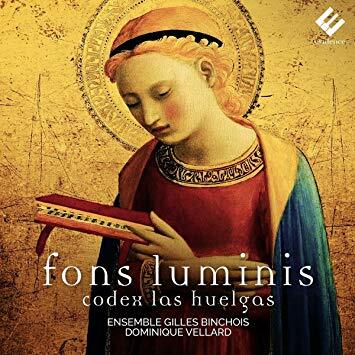 It was compiled for use by the nuns in the Las Huelgas Reales monastery, but the performances here by Ensemble Gilles Binchois reflect the fact that the nuns at Las Huelgas lived and worshipped alongside monks and male members of the monastery staff: thus, some of the pieces are sung by women, some by men, and some by a blended group. The program shifts back and forth between plainchant and two- and three-part harmony in an astringent ars nova style. The singing and the recorded sound are both marvelous throughout. Unbroken is an apt title for this eclectic collection of songs. They are drawn from a variety of sources: the standards repertoire (“You Must Believe in Spring”), the gospel tradition (“Aint No Grave Can Hold My Body Down”), the mid-20th-century blend of jazz and gospel music with defiant resistance (“Better Git It In Your Soul”), the Civil Rights songbook (“Someday We’ll All Be Free”), and others–including the creative mind of Austin herself. All convey a message celebrating the unbroken “African-American spirit,” and thus its diversity of styles is itself a demonstration and celebration of that spirit. Accompanied by a crack sextet of sidemen, including the great pianist Cyrus Chestnut, she delivers a rousing and inspiring set of songs that accomplish exactly what she set out to do. If you like your jazz funky and greasy with a subtle underpinning of swinging refinement, then this is the album for you. 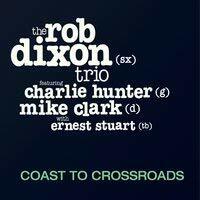 Saxophonist/composer Rob Dixon has long straddled the (wide and fuzzy) line that separates straight-ahead jazz and funk, as have both of his supporters here: 7-string guitarist Charlie Hunter and drummer Mike Clark. (They are also joined on several tracks by trombonist Ernest Stuart.) Hunter’s uniquely-designed guitar allows him to play basslines, chords, and melody simultaneously, just like a jazz organist, and he and Clark provide a variety of thick and sinuous grooves over which Dixon soars, honks, and/or growls as occasion requires. Surprises include arrangements of a Terence Trent D’Arby classic and of a Tupac Shakur song. Highly recommended to all jazz collections. If there’s one thing the world definitely needs more of, it’s trombone-led jazz albums. 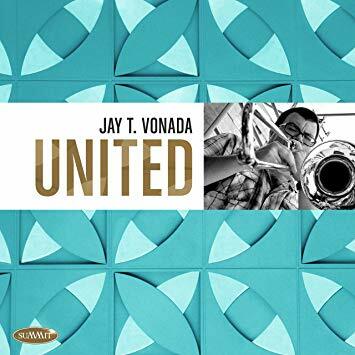 Pennsylvania-based trombonist and composer Jay T. Vonada steps up to make his contribution on this very fine album of standards and originals, on which he is accompanied by the trio of pianist Kirk Reese, bassist Bob Hart and drummer Kevin Lowe. Vonado has a sweet, burnished tone and a deep love of melody, both of which are in ample evidence here — as is his love of bossa nova rhythms. And I confess that I’m completely charmed by the fact that the liner notes (in which he is, of course, profusely praised) were written by his wife. Strongly recommended. 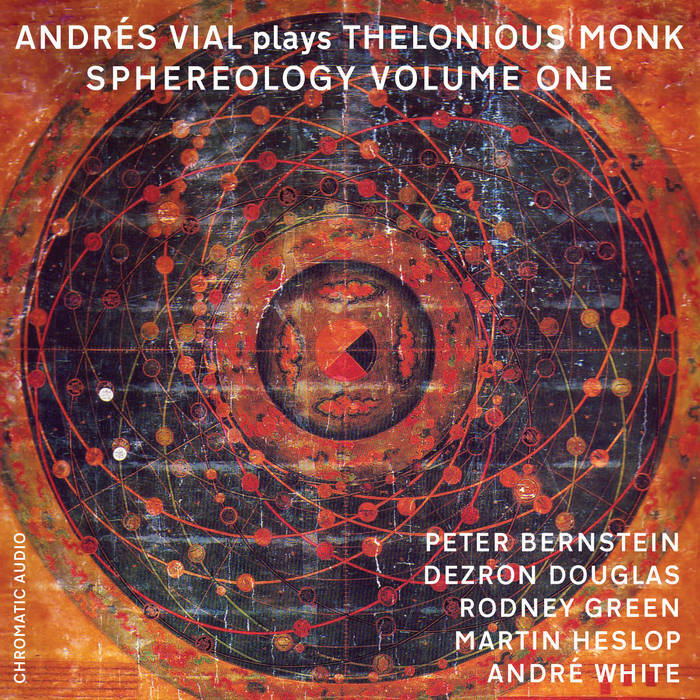 Too often, interpreters of Thelonious Monk’s legendarily knotty and strange melodies have focused on the knottiness and strangeness. On this quartet date, pianist Andrés Vial does something different: he celebrates their grace. Listen to the way he interprets the head on “Think of One,” for example–instead of loping and staggering, his lines dance and twirl, casting a new light on this strange but familiar composition. Vial also gets extra points in my book for avoiding the obvious choices: here we get “Green Chimneys” instead of “Epistrophy,” “Coming on the Hudson” instead of “‘Round Midnight,” and, best of all, that rarest of things: a genuinely obscure Monk composition (“Bluehawk”) to open the album. An essential purchase for all jazz collections. 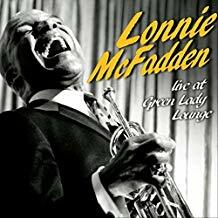 On the front cover you see trumpeter/singer Lonnie McFadden throwing his head back and laughing, looking for all the world like Louis Armstrong. Inside you see a photo of him tap dancing. The tracklist includes “Moten Swing” and “What a Wonderful World.” It’s enough to make you expect a trad-jazz exercise, isn’t it? But no. While McFadden and his quartet swing in a powerful and straightforward way, they can also deliver the funk, the slippery second-line New Orleans groove, and the discursive noodling like no one’s business. This live album is actually quite an adventure, going down multiple stylistic alleys but always coming out with a smile and a shout. And it retains the between-song patter, which is more fun than you’d think because McFadden is kind of a character. I’ve been a fan of Mandy Barnett ever since I came across Winter Wonderland, a delightfully straightforward set of Christmas songs performed in a range of mid-century country and torch styles. Her most obvious stylistic influence is Patsy Cline, but make no mistake about it: she’s entirely her own singer and she’s never been willing to be constrained by genre boundaries. 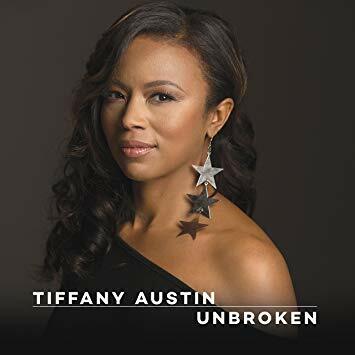 Hence her latest effort, which finds her veering from smoldering R&B (“More Lovin’,” “Strange Conversation”) to 1960s girl-group finger-snapping (“It’s All Right, You’re Just in Love”) to spooky country-soul (“Puttin’ on the Dog”). In fact, “spooky” is the common denominator on most of these songs. As is the smoky contralto wonder of her voice. From the opening line of “Please Don’t Let Me Love You”–in which George Morgan’s velvety croon blossoms unexpectedly into a heartbroken and hair-raising yodel–I knew this one was going to get a Rick’s Pick designation. If you’ve never heard of him, join the club, though I’m kind of embarrassed to admit it. 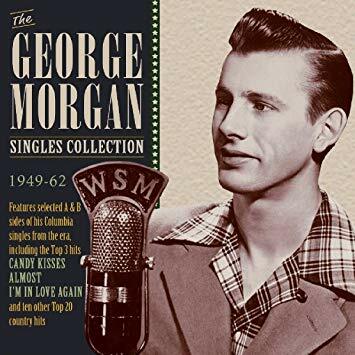 During his career Morgan was apparently greatly revered in the country-music establishment and he reportedly was invited to join the Grand Ole Opry before he had even released a record. Why? Because he sings like a cross between Gene Autry and Bing Crosby, and his style is something I can only describe as “refined honky-tonk.” It might be too refined for some ears, I guess: in the early years there’s minimal instrumentation and a very smooth surface to the production, and later on you start getting the occasional choral backing and tinkly piano (not to mention a couple of silly novelty numbers) that might cause a few listeners to roll their eyes. But the voice–focus on the voice. And the duets, with Rosemary Clooney and Shirley Dale. A must for all country collections. 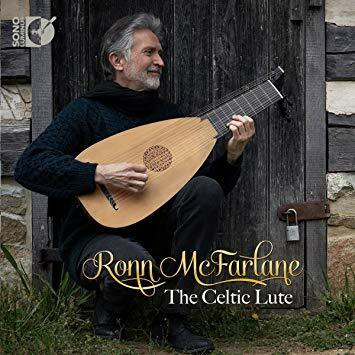 Back when the Sono Luminus label was called Dorian, lutenist Ronn McFarlane was regularly featured among its releases, whether as a solo artist or as a member of the Baltimore Consort. Some of his finest recordings have explored the intersection of early European art music and traditional Celtic fiddle tunes. Here he takes up that effort again, playing a wonderful array of Scottish and Irish tunes, some from lute books of the 17th century and others performed in his own arrangements. As always, he makes it sound easy (it isn’t), and the tunes are a pleasing blend of the familiar (“Banish Misfortune,” “The Flowers of Edinburgh,” “The Butterfly”) and the obscure. Ah, Jim Lauderdale. Here’s the thing: not only is he a brilliant avant-neo-traditional country artist on his own, he’s also a deeply generous champion of other brilliant artists. Witness, for example, the Frank Newsome album I reviewed in these pages a couple of months ago–a project undertaken entirely by Lauderdale, and on which he kept a very low profile. Consider also the duo album he made in 1979 with Roland White, an album which has never been released until now. 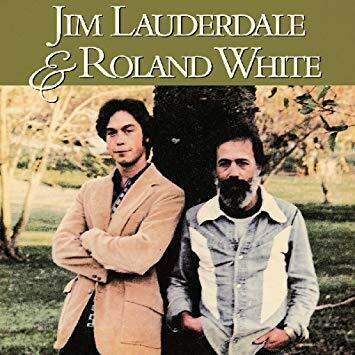 It tells you something about Lauderdale that when he was ready to make his mark on the musical world, he did it by seeking out one of his heroes (Roland White was a founding member of the pioneering Kentucky Colonels and later played with the Nashville Grass and Country Gazette) and asking if he could record with him. The result is an album of bluegrass standards and originals, recorded in Earl Scruggs’ basement and featuring (among others) a young Marty Stuart on lead guitar. 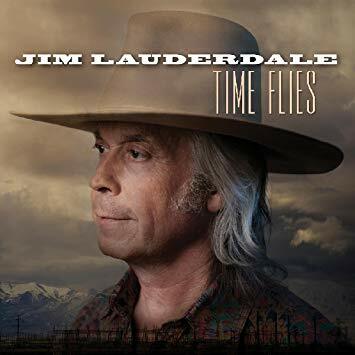 Lauderdale’s newest solo album is a very different creature, one that draws deeply on the country verities but is unafraid to incorporate elements of roots rock, Tin Pan Alley, and swing. Both albums are outstanding. Here’s someone to keep an eye on. 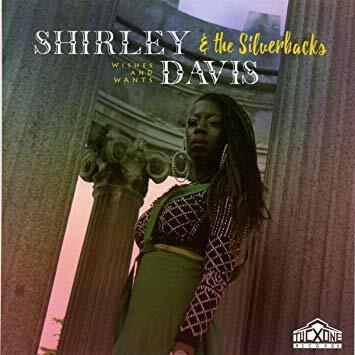 Shirley Davis is a soul/R&B singer in the neotraditional mode of Sharon Jones (a mentor and inspiration for her as she was coming up), but with something of a twist: woven in with her vintage soul-funk grooves are elements of Afrobeat, especially noticeable on the restlessly bubbling “Nightlife.” The songwriting on this debut effort isn’t always as strong as it could be and some listeners might find the aggressively lo-fi production quality annoying, but Davis’s is clearly a voice to be reckoned with, and her backing band is phenomenal. I’ll be watching her career with great interest. Not all ambient music has to be restful, contemplative, or bliss-inducing. Sometimes it can be dark and disturbing. 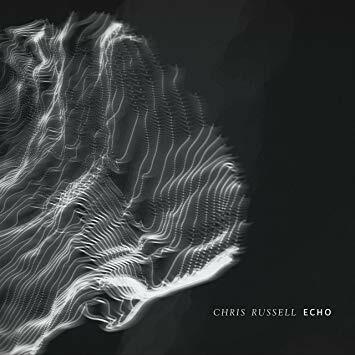 Consider, for example, the latest from Chris Russell, a composer and sound sculptor who uses custom software and improvised tools to transform found sound, field recordings, and originally-created noises into soundscapes that rattle, shimmer, whir and throb. The textures on <em>Echo</em> are mostly dark and dense, but bright passages of tuned percussion make themselves heard from time to time as well, and there are also moments of gentle calm. 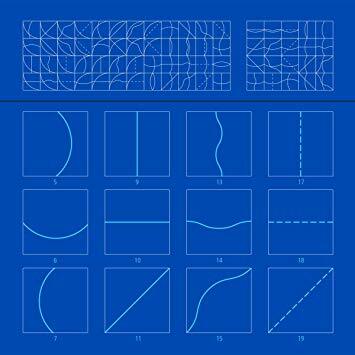 As ambient albums go, this is an unusually complex and multifaceted one. The sophomore album from this Swedish group starts out unpromisingly, with a clunky 3/4 beat–but then, very quickly, the band’s attractions start to emerge: a blend of jangle- and dream-pop, a charming tendency towards unapologetic stylistic thievery (listen to that Joy Division-inspired bassline on “It’s So Easy”), an inclination towards ingenuous song titles (“I Wish I Gave You More Time Because I Love You,” “Things to Keep Up With”). The English-as-a-second-language lyrics are sometimes slightly painful, but the clumsy moments are quickly subsumed in all the surrounding loveliness. I’ve been following the Air Texture label’s series of curated compilations with great interest for some time now, and I’ve always loved them. 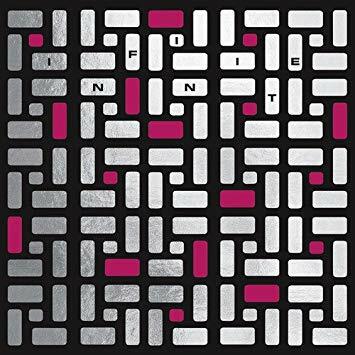 This one, a generous two-disc set of electronica selected by respected DJs Steffi and Martyn, left me a bit cold on first listen–and then, the second time through, I was suddenly in love with it. I don’t entirely know how that works, but there it is. Dark, abstract, grumblingly funky tracks are gathered from artists like V.I.V.E.K., FaltyDL, Basic Soul Unit and Mosca, plus a couple of original tunes from Steffi and Martyn themselves. What unifies these rather disparate slabs of postmodern electronica is the fact that none of them fits perfectly into any pre-existing genre–which is kind of a big plus in itself. Strongly recommended to all libraries. 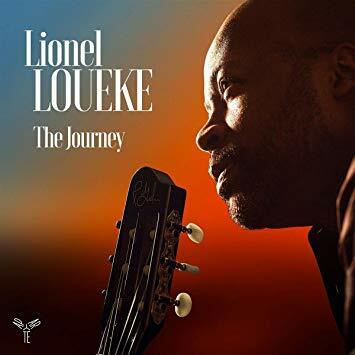 I keep seeing Lionel Loueke’s music categorized as “jazz,” but beyond his clear facility with extended chords I can’t hear anything about his music that suggests he belongs in that pigeonhole–capacious as it may be these days. Hailing originally from Benin, Loueke sings in a variety of languages and plays guitar in a variety of styles, some of which sound like they were invented by him. 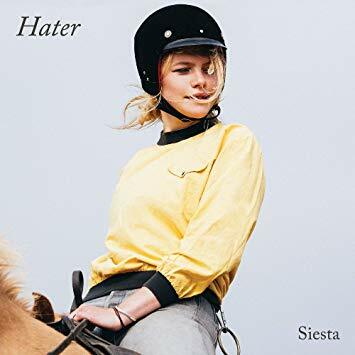 This album is a tribute to migrants the world over, and although some tunes are funky and some evoke flamenco or samba traditions, the overriding mood here is quiet and subdued. 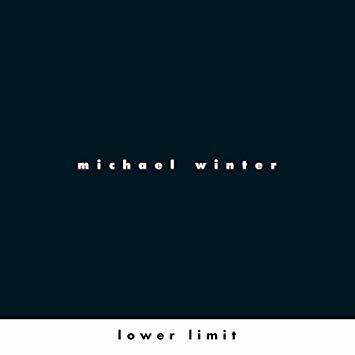 Instrumentation is minimal, and his singing voice is placed low in the mix, ensuring that the listening experience is something like sitting next to a quietly burbling brook–one that flows with subtly entrancing melodies. This is an exceptionally beautiful album that would make a great addition to any library collection. 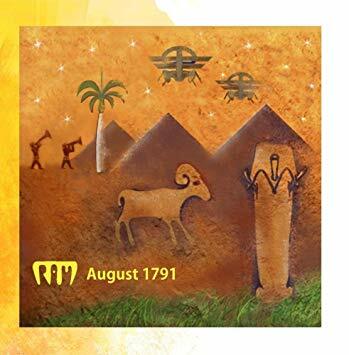 August of 1791 is when the African population of the Caribbean colony of Saint Domingue rose up in rebellion against its French occupiers, eventually achieving independence in 1804–resulting in the creation of the first free republic of diasporic Africans in the Western hemisphere. That rebellion is commemorated and celebrated on this album by RAM, a project of Haitian-American musician Richard Morse. Morse put his group together in Port-au-Prince, creating songs and arrangements that combine traditional Haitian instrumentation and song forms with Western elements such as electric guitar and keyboard. The sound is big and dense, sometimes bordering on the chaotic and sometimes loping with a mid-tempo grace. There’s lots of call-and-response singing and tons of gorgeously soaring melodies. Recommended to all world music collections. If you aren’t already familiar with fado–a uniquely Portuguese art form typified by intensely emotional songs mainly written in a mode of passionate longing, usually sung by a woman and almost always accompanied by a twelve-string Portuguese guitar–then it’s high time you caught up. 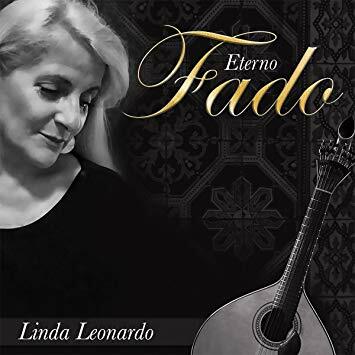 Linda Leonardo is not only an accomplished fadista with a gorgeous voice, but also a poet and composer; she wrote either the music or the lyrics to several songs on this album. Although her voice is front and center here, her accompanists are also worth noting: throughout the album, the arrangements (though minimal in terms of instrumental forces) are both complex and deeply beautiful. Highly recommended.